The Disney Collection is New From Scentsy! The Disney Collection is new from Scentsy! 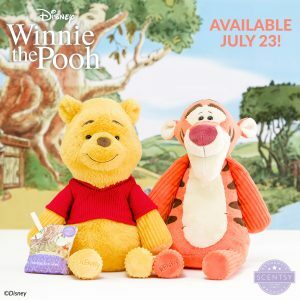 Starting with limited-edition Winnie the Pooh and Tigger – Scentsy Buddies on July 23rd. Then, beginning September 1, the full lineup of magical products will be available in the new catalog. 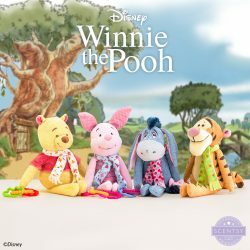 Winnie the Pooh and Tigger – Scentsy Buddies are here for a limited time! Each Buddy is paired with the new Hundred Acre Wood – Scent Pak. Order yours on July 23rd. Available only while supplies last! The Disney Collection will expand on September 1, 2018 to include even more magical products! The perfect pal for any little one! Shop all four of your favorite Winnie the Pooh characters: Winnie the Pooh, Piglet, Eeyore and Tigger. Complete with his very own Scentsy fragrance, Your Pal, Mickey! Complete with her very own Scentsy fragrance, Love & Kisses, Minnie! Ariel: Under the Sea – True love awaits, so give chase and follow your heart across oceans of emerald water, crisp green apple and blue hibiscus. Cinderella: Happily Ever After – Find your fairy tale — complete with storybook ending! — in a sweet, subtly romantic bouquet of gardenia, forget-me-knot and frosted lemon. Shop The Disney Collection starting September 1, and bring home a little Scentsy magic!